Because the Meritt Series is custom made to order, you get to choose from 37 Top Grain Leather Colors, 26 Duralux Fabric Colors, or 54 Microfiber Colors. The sets are shipped directly from the factory and delivered to you by our in-home White Glove delivery service (normal delivery is 5 - 6 weeks). Because the Merritt Series is custom made to order, you get to choose from 37 Top Grain Leather Colors, 26 Duralux Fabric Colors, or 54 Microfiber Colors. The sets are shipped directly from the factory and delivered to you by our in-home White Glove delivery service (normal delivery is 5 - 6 weeks). Even from across the room, the "Merritt" beckons you with its double-tufted pillow back, deep seating and fully cushioned chaise-pad ottomans. 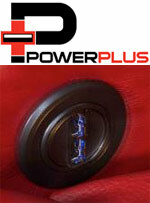 You could sit for hours on the 1.8 density foam seats that boast 28 pound compression-exceeding industry standards! The hardwood frame with extra-strong hardwood components is built for durability. Quality is everywhere. 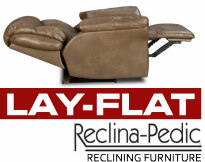 The Merritt features both the new Reclina-Pedic and LayFlat technology. The Merritt Series is as comfortable as any Sofa Group seating made. 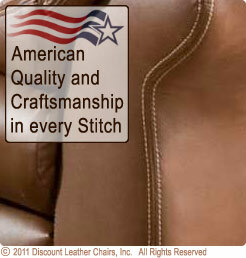 It is an elegant addition to your home and is an excellent investment in American Made Comfort and Quality.